Welcome to Amusement Unlimited! Your local distributor for coin-op and arcade style games! We have been servicing the Eugene area for decades! Everything from Jukeboxes, to photobooths, we do them all! If you are a business operator or a private collector, we are here to help you! Amusement Unlimited functions by either selling machines to local businesses for their own private use, or we can install machines in your business to attract customers! Amusement Unlimited has flexible pricing plans for our leased machines, always guaranteeing your business additional profit. If you’re a business, we would like to work with you! We can get our hands on virtually any machine to match any of your needs. We also have a highly responsive service team, and will service all of your leased machines for free! Pool tables, jukeboxes, uprights, and arcade games, Amusement Unlimited does them all. For purchasing a machine, check out what we have for sale! 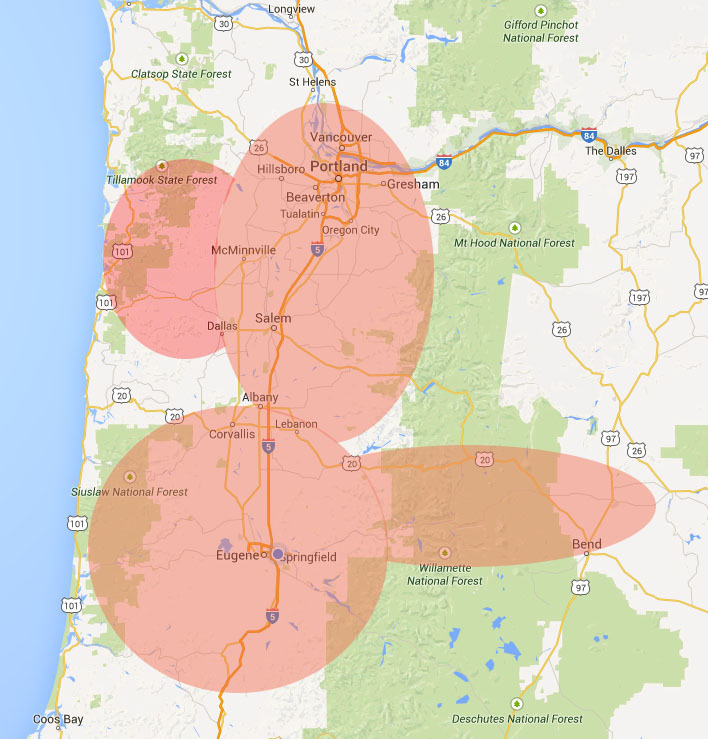 Here is a rough idea of where we service; Florence to Bend, and Portland to Southerlin. If your business is in this area, then Amusement Unlimited is for you! Call us today and we can match your needs to our services in a swift manner. Start attracting more business today!